Overall, it is becoming increasingly clear that the widely publicized offensive on Donetsk has, as expected, amounted to zilch. The Ukrainian Armed Forces does not have any more strength. It simply does not. And that is all. Moreover, the Junta forces are facing several simultaneous catastrophes on the local scale, which can become operational-tactical in nature and then strategic. The counter-offensive of the DPR forces that began on August 11, 2014 resulted in the DPR army taking control of Stepanovka on August 12, 2014 and then of Marinovka in the morning of August 13, 2014. 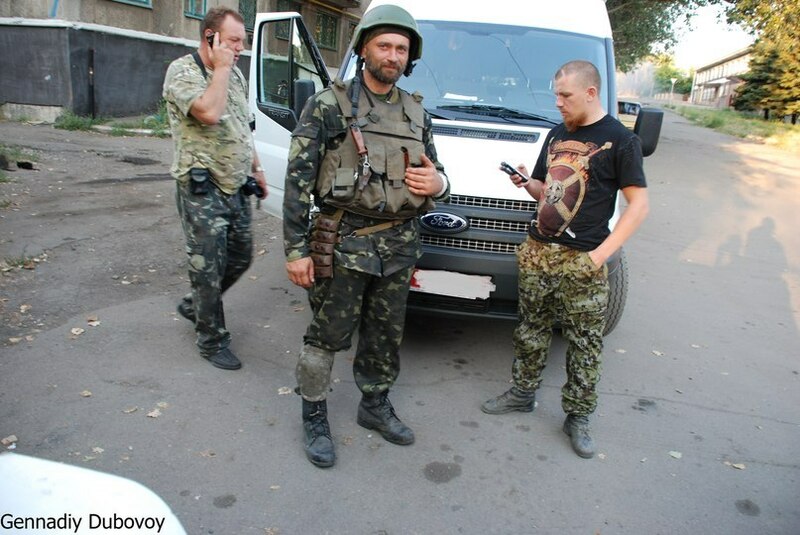 The Marinovka border crossing checkpoint (“KPP”) was taken over in the afternoon of August 13, 2014. Thereby, the Southern Cauldron 2.0 was formed. As a result, three more armoured-tank groups of the Ukrainian Armed Forces ended up being encircled. Although the Junta troops’ desperate attack on Stepanovka on August 13-14, 2014 resulted in heavy fighting on the outskirts of the village and in the settlement itself, it ultimately resulted in the attacking grouping’s complete rout. So far, the trumpeted importance of Saur-Mogila appears to offer the Ukrainian army no particular solace. This suggests that the widely advertised capture of the strategic height was nothing more than a PR move on the part of the Junta (equivalent to the Nazi Germany installing its flag on Mount Elbrus in 1942). The situation is under the complete control of the Militia. Although the enemy grouping has not lost its combat capability entirely yet, it has been dissected by the Militia into parts and is fighting on the defensive. Considering the importance of the nearby road intersection for communication lines between the Republics and Russia, the elimination of this enemy grouping has been prioritized. Control over Miusinsk has been fully restored. Krasniy Luch also is firmly in the hands of the Militia. In the last few days, fierce battles were fought in the Ilovaisk area. The importance of this region is that it represents a convenient springboard for an attack into the rear of the Amvrosievka grouping of the Ukrainian forces. On the other hand, the Junta’s contemplated offensive aimed at the encirclement of Donetsk also required the taking of this city. And that is why the DPR Army fought to retain it at all costs. And not only succeeded, but defeated the advancing enemy grouping. Throughout the area, the enemy has been driven back and in the last day showed no signs of activity. It appears that the Junta has exhausted its reserves in this direction of the front (that which was available likely will be redeployed in an attempt to de-blockade and relieve the new Southern Cauldron, opening several important opportunities for the DPR Army). Apart from the foolish destruction of the bus carrying Praviy Sector militants, nothing else happened. In general, there is a lull in this section of the front. Fierce battles were fought here in all the previous days. At first, there were the strikes of the Kiev forces on Nizhnyaya Krynka, the DPR Army’s junction area between Gorlovka and Yasinovataya. Simultaneously, a second strike followed from Debaltsevo on Uglegorsk. This part of the operations was aimed at the encirclement and dissection of the Donetsk-Makeevka-Gorlovka grouping of the DPR Army. Due to lack of sufficient troops the operation became bogged down without reaching its goals. Yesterday, the DPR Army commenced its counter-offensive. 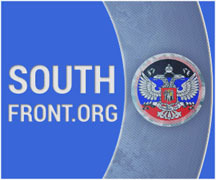 Yasinovataya is once again controlled by the DPR. The development of the offensive in the direction of Panteleimonovka will cut off the enemy strike group from the rest of the forces. Near Gorlovka the enemy has lost dozens of armoured vehicles, essentially losing its strike capabilities. 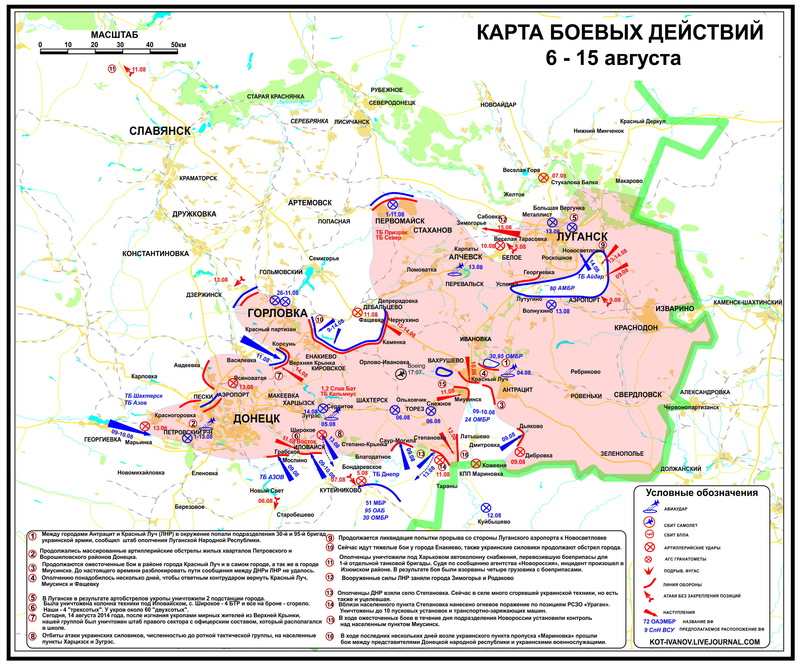 Moreover, the grouping of Mozgovoi has started an offensive into the rear of Debaltsevo. As of this morning, battles were being fought on the outskirts of the city. The threat to the Junta in losing Debaltsevo is the creation of yet another cauldron. At the same time, the battlefield here has been radically transformed. The Junta is no longer advancing, but rather is doing its best not to end up encircled in new cauldrons. The Russian humanitarian convoy awoke the hostilities from hibernation also on this front. The goal of derailing the convoy has prompted the Junta’s leadership to organize an attack on Novosvetlovka-Khryashchevatoye. The goal here is to cut off the remaining open road that enabled the supply of the Lugansk garrison. The initial success (caused by the suddenness of the strike) has turned into a complete rout. As of this morning, the units of Battalion Aidar were crushed in the area of Khryashchevatoye (the Junta has admitted 22 dead and 36 wounded). In the area of Novosvetlovka, the units of the Ukrainian Armed Forces (totaling up to a company of tanks and a company of motorized infantry) sustained significant losses (losing up to half of the tanks). Right now, the LPR Army is engaged in artillery suppression and elimination of the entrenched grouping. A day or two, and here also everything will be over. Whatever one’s attitude may be with respect to the latest resignations (Strelkov, Bolotov), but … it was after these resignations that the general staff of the Militia’s Armed Forces was created, such that it can now properly be called an army. This is so because central command was the one thing that the Militia lacked to function as such. The result of this coordination is already apparent. Moreover, by formally giving the leadership of the Republics a purely Ukrainian appearance, this transformation has provided the Army of the Southeast with the capacity to start solving tasks outside the borders of the Republics. Not only military ones, but political objective as well. The centralization of the military command will also oust the remnants of Makhnovism, which have been discrediting the movement. And so, a radical turn in the war no longer is just fast approaching. It is already visible with a naked eye. Among the Junta forces, increasingly, it is not the names of regular units of the Ukrainian Armed Forces that we see flash in the briefings, but those of militarized battalions. This is a direct consequence of the losses that were suffered by the Junta troops in the last several weeks, resulting in units of the second line coming to the forefront. 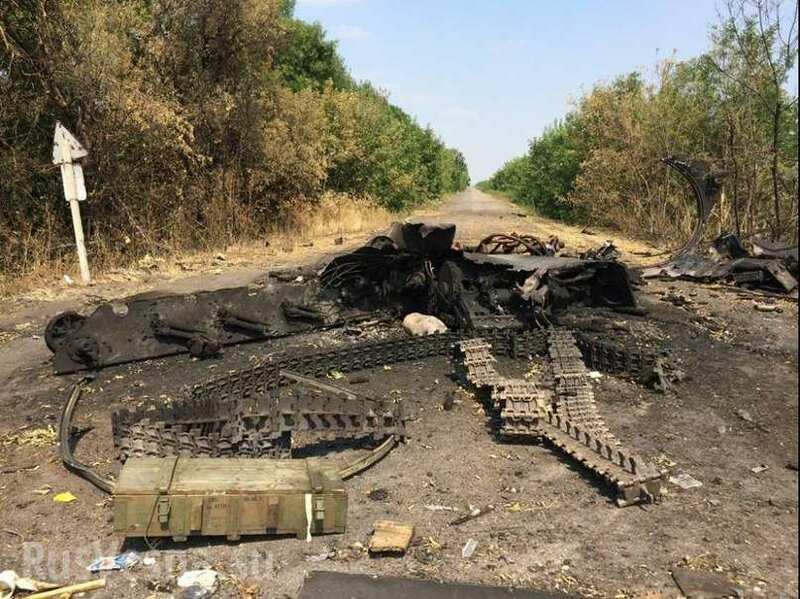 This forced transformation immediately aggravated the losses of the Ukrainian strike groups (the example of Ilovaisk is quite telling in that regard). In other words, the most battleworthy units of the Junta have either already been exterminated (the 72nd, the 79th, the 51st, and parts of the 24th Brigads), or are currently blockaded in cauldrons (the 80th, the 95th, the 30th, and parts of the 24th Brigade). At the same time, the militarized battalions that were left holding the front cannot compare to the regular army despite all their patriotic zealotry. In other words, at the front we are observing an equalization of forces not only in terms of quantity (particularly in military hardware), but also in terms of quality (in fact, quality-wise, the Army of the Southeast already has an appreciable advantage). « The Residents of Slavyansk have disappeared; the town is being re-populated with migrants from Western Ukraine. One thing I am happy about is the formation of a combined command ! but I thought Strelkov had been striving for this from day one? and each time it was personal/egos or dislike by other commanders that prevented it? I understand the need to put a ‘local’ face on the C&C and politics always has a part, I just hope it does not interfere with the soldiering as the SDF have up till now come from nothing and give the UA some real battlefield lessons, may the continue in the same vain! In the west of Donetsk briefing, why do you talk of the ‘foolish’ destruction of the bus carrying Pravy Sektor militants? I think, this could be a translation error, @Dottix. It is meant, ‘destruction of the bus of FOOLISH PS’, I believe. Yep, @Gleb, so, of course, it is not a ‘translation error’, but a difficult syntax of a difficult language … :). I have read the original message by Google Translator’s quirkiness, I have to admit, but Google translated it exactly in your sense of a mystery regarding the whole incidence. Well, other sources are speaking of DRUGGED ZOMBIE-like PS Freaks, standing, shooting, without the impulse to hide or take cover when under fire, like being pushed by chemicals without sense of danger or fear. I guess, those PS Freaks really wanted to ‘storm’ Donetsk and claim the ‘victory’ for themselves. Could be. War is making some people mad. Thank you very much, @Gleb, by the way, for your efforts you put into this Blog. It has been my main source of information about the conflict for some time now. There is not much for non-Russian speakers in the Interwebs. I’ve seen a lot of fights, and when someone tries to avoid a bully by taking slaps and punches in the face, he winds up beaten to a pulp anyway. WHEN WILL Russia learn –sadly that is her history . Mr. Putin, lavrov and Medvedev-forget about the word “our partners”. Your alleged “partners” are not impressed by anything but brute force. The only way you are going to get respect in that barbarian club is by showing that you have brute power military strength and willingness to use that power to your advantage. The way I see it, the Russians tried being nice, polite, moderate, considerate and reasonable. The Empire laughed at them as weak, and stepped up the lies, murder and mayhem. So the gloves should now be off. No more Mr. Nice Ivan. The US will find it difficult to justify sending US troops as long as Russia isn’t directly involved. This means they will be stuck using the Kiev army as a proxy. Putin is correct. Russians do not act until forced to act while Uk and its satellite usa plan well in advance their plans and when they act, they act decisively and use anything that comes their way to leverage their plan. That is the main weakness of Russia-lethargy, complacency, lack of intrigue and plottings as done by anglos evil race. Ah, well, @Avatar, USA/UK/EU is first and foremost Master of Destruction of its OWN UNIVERSE. They are acting decisively wrong since Hiroshima and they continue to plan ahead in completely wrong directions – as if they were blind in some serious emotional spot. In fact, they are. They are monocausal technocrats without real understanding of life’s complexity and multi-layered fabric – and the principle of backfiring. And that’s why Russia is superior in this conflict, because it acts methodically and with a classic sense for DEFENSIVE ACTION. Who says, Russia is lethargic? The balance of this war has clearly tipped in favour of the Militia – as the offensive power of Kiev is at the brink of collapse. Too much tactical battlefield losses for Kiev. 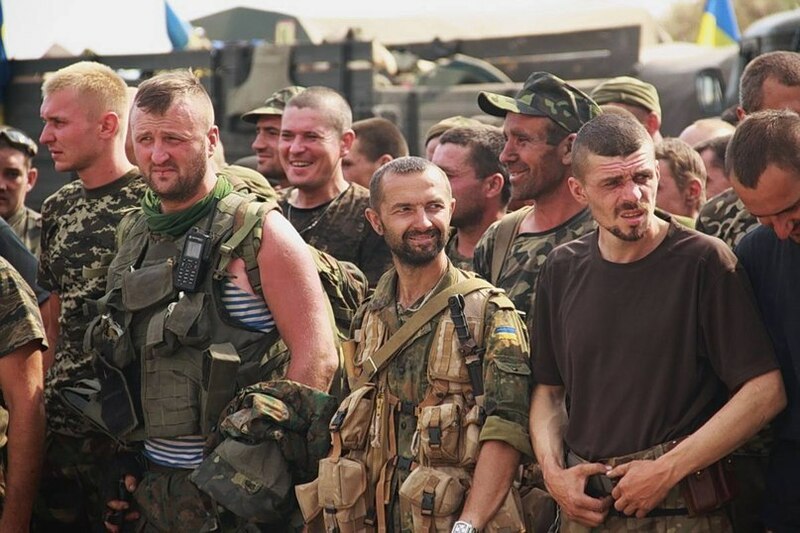 I would not wonder, if some commanders of Kiev troops are offering their services to the Milita Army sooner or later (not just selling equipment … 🙂 ) – together with their men – and to prepare a march towards Kiev City. Most of the ordinary civilians of Western Ukraine are already enraged against this Civil War because of the cynical indifference of the Kiev HQ in regard to the heavy losses of simple army conscripts. There will be real opposition in Kiev on the streets, not faked Maidanists and Nuland-employers, especially if it’s getting colder and the living conditions in this war-torn and dead-broke state really, really harsh for ALL people over there. Even the Leader of Radical Party Lyeshko was beaten today by a MP in front of the cameras and the press. Right Sector is finally tasting blood in the mouth – in Ilovaisk/Donetsk and also in the Parliament. Regarding the resignation of Strelkov (I hope, he is still alive and well …), I have to say: it may be a formal and political necessity to strengthen the local profile of the Separatist Movement, but it would be foolish to outcast Strelkov and ignoring his military advice and expertise. Cause that alone helped out Donetsk immensively in the last months, I guess. I have the impression, that there are forces in the background at Donetsk, who wanted to get rid off Strelkov for some time now, as he seems to be for a lot of people on the hardliner side of this conflict. Well, it is debateable, if you could WIN such a fierce and brutal conflict without being a hardliner – or Steel Strelkov. I doubt that. So, we will see, what Czar Kononov wants to do. Yes, I am looking forward to your comprehensive briefing. Thank you again for that in advance! God in Heaven, Strelkov is not dead. Now for every major MSM network to run with this story(no coincidence) just as the Humanitarian Aid convoy is passing !it is part of a US/NATO deception, we have witnessed it before, myself personally in Bosnia when a narrative is repeated verbatim with out any PROOF! 24/7 ON msm just to achieve the desired effect(here 2 stop Russian AID) then no retraction will be given when it is found to be FAKE/Untrue, the desired effect has been achieved! You can all help by sending money via Western Union. Send a mail to agstrog@gmail.com, for details about how to do it! I did so , it works! well, i know entire towns are beings bombarded, so if militias are in better shape, prevent artillery fireing by the nazi forces. And I really hope to see that big counter offensive, that will take to kiev, i’m sure many more town will likely join u on defeating the nazi junta, HURRY UP !!! if so many military hardware you have been confiscating, use it at a much biger military campaign. It is a real pleasure to read that the militia is now a united and efficient army . you will win because you fight for freedom and the truth . and be cautious of your lifes . Streklov is a man with a high sense of morality I feel , the same as Pr Putin has .